Felicitation given by my school Bishop Cotton School, Shimla during the concert day at the Irwin Hall by the Headmaster Mr Roy Robinson. Special award of appreciation by enrolling my name in the prestigious Spartan Club (Highest award given in the school). Extremely emotional moment to cherish. This entry was posted in Events, News, Post, Spot Light and tagged 2018, BCS, Headmaster, KC Anand, Mounteering, Mt. Everest, News about OCs, Old Cottonians, Roy Robinson, Sandeep Mansukhani, Spot Light on June 1, 2018 by admin. 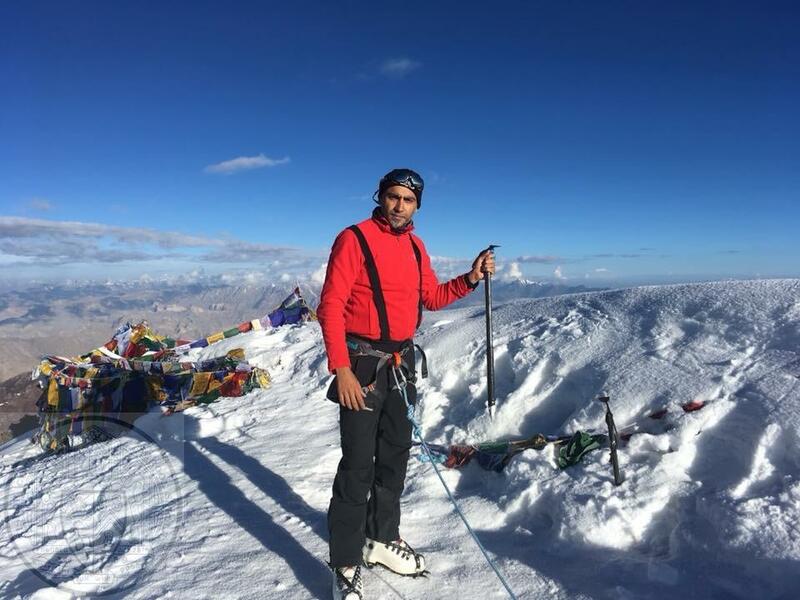 Yes it is confirmed…..it is going to be 21st May 2018 when Capt Sandeep Mansukhani will be making his final summit push. It took years of training, hard work and endless sacrifices for him to get there but what matters will be next seven days. Those seven days when he will leave the safe lap of Base camp and head towards a journey amidst death zone predicting any kind of incidental consequences. I have never been scared of anything but yes today I am……..just praying. Undoubtably weather plays a crucial role on Everest ( the summit of Everest is pummeled year round with jet stream which lifts up only for few days before the onset of monsoon) And weather has been quite unpredictable past few days so the agency was taking various updates from its trusted sources to take final decision. Today they had oxygen briefing and the masks and regulators are issued. The accompanying Sherpa is announced and good to hear that his Sherpa is Tashi( six time Everest summitter), very experienced climber. There will be no connectivity for next seven days. Only the updates from agency itself. This entry was posted in Articles, News, Post and tagged 2018, Mounteering, Mt. Everest, News about OCs, Sandeep Mansukhani on May 17, 2018 by admin. Thank you for letting me know of Capt. Mansukhani’s Mt. Everest 2018 Expedition. 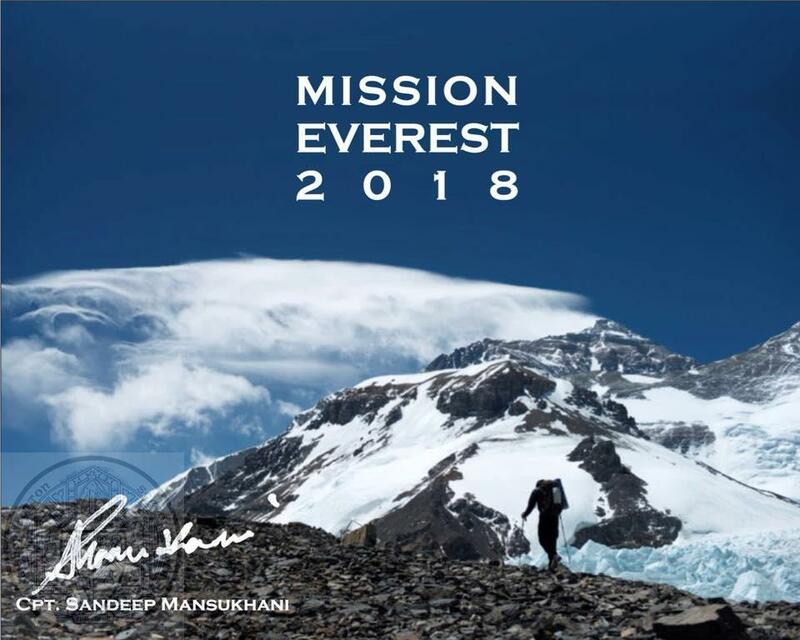 I think all OCs worldwide ought to be made aware of the courage of Sandeep Mansukhani to return to Mr. Everest to climb it, after his escape from his first trip, when Nepal suffered an earthquake, which coincided with his first venture. Would you please post a worldwide plea for Old Cottonians to make a donation to the very heavy expenses incurred in preparing for this supreme venture of skill and courage. I give below details of the account to which I have already subscribed with a receipt from the Bank of the transfer I made. This entry was posted in News, Post, Spot Light and tagged 2018, Funding, Gay Niblett, Mounteering, Sandeep Mansukhani, Spot Light on April 2, 2018 by admin. Message received from Sandeep Mansukhani, Rivaz House (1994-95). OCA India sincerely wishes him ‘best of luck’ for his brave adventure and may God grant him enough courage to complete his unfinished task of conquering the Great Himalayan Peak. “Prayers, good wishes and blessings pouring from all over came as an answer to my survival amidst the disastrous earthquake that hit Mt Everest/ Nepal in 2015 during my expedition to the Summit. It made me realise how blessed I am to have such lovely and caring people around. I will proceed to Nepal on 3rd April 2018 to complete my unfinished climb of Mt Everest Expd (8848m/ 29029 ft). I seek your blessings again. I request you all for any monetary contribution you wish to make to help me in my endeavour”. This entry was posted in News, Post, Spot Light and tagged Letters from OCs, Mounteering, Mt. Everest, Nepal, News about OCs, OC, Sandeep Mansukhani, Sponsorship on March 21, 2018 by admin. This entry was posted in News, Post, Spot Light and tagged EarthQuake, Mounteering, Mt. Everest, Nepal, Sandeep Mansukhani on April 27, 2015 by admin.